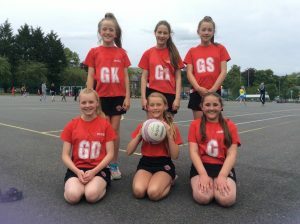 Last week, our Y6 netball team was invited to take part in the Summer Games 2018, at University Academy Keighley, along with many other schools taking part in numerous sporting competitions. In all, we played 4 matches and finished with a total of 8 goals for and 10 against. This meant we were 3rd in our group-and missed entering the semi-finals by one point! Every girl played extremely well and demonstrated all the Games values of honesty, determination, respect, passion, self-belief and teamwork.